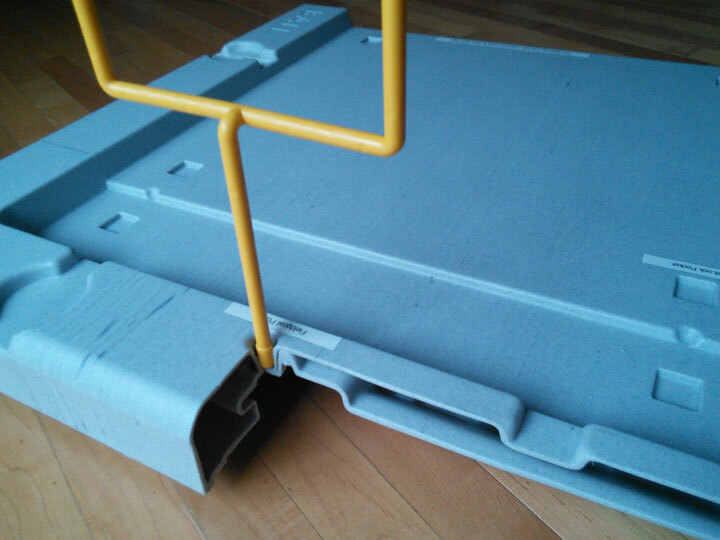 SPI Blow Molding molds the HDPE Buzz Ball Football game table that was awarded 2nd place at the Annual Society of Plastics Engineers’ (SPE) Awards. The award was granted in the Industrial Blow Molding Division of the 2nd annual blow molded parts competition. 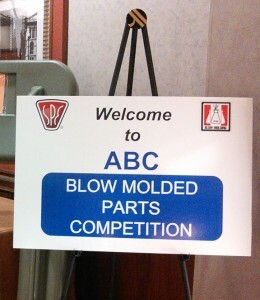 The ABC, SPE Blow Molding competition showcases the latest innovations and advancements in the blow molding industry. Entries in 14 categories for packaging and industrial applications are judged on molding design, manufacturing, material application, sustainability and commercial use. 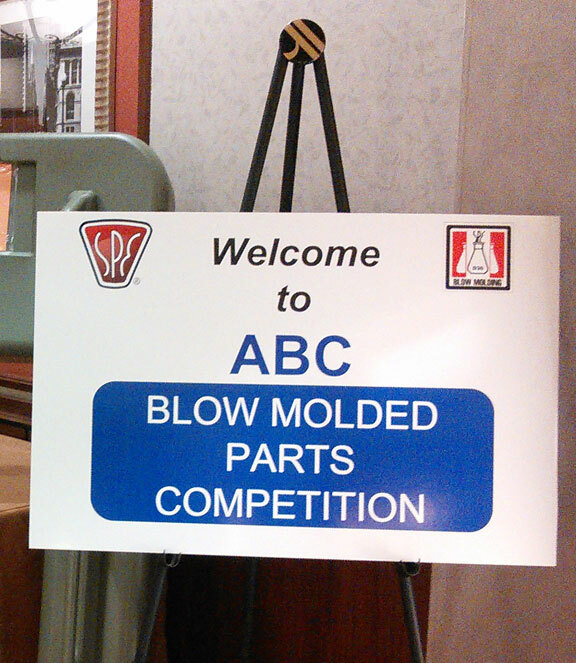 The competition was held in conjunction with the 30th Annual ABC and SPE Blow Molding Conference in Chicago, October 5-7, 2014. Features of the blow molded HDPE table that caught the judges eye were the configuration of the tackoffs for the blow molded area on the top of the game table as part of the extra deep design. 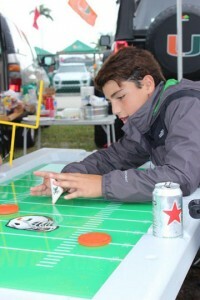 The Buzzball Table game is a sliding-triangle football game that is a take off of the old folded paper football competitions we played on our school desks and school cafeteria tables back in the day. 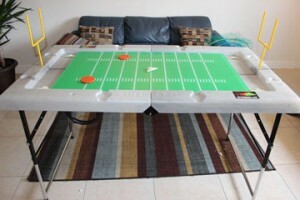 As you see by photos this blow molded table is similar in size to a foosball table but has adjustable folding legs to allow for portability and storage. These product features were considerations during the mold design process along with the desire to reduce any concerns of warping. Ed Wu of 99Studio Inc. in Naperville, Illinois. along with Alex Lopex of Amiplex, Inc. in Miami, Florida are the designers of the table. Wu has worked with SPI Blow Molding staff for many years and always delivers fun and challenging designs for our blow molding engineers. Always up for a challenge, SPI appreciates the recognition for the work the entire team put in to achieve the award winning results. Other 2014 Blow Molding Competition awards were given to Amcor rigid plastics for the Jack Daniels PET flasks under the blow molded packaging cateogry. First place in the industrial blow molding category was awarded to Coleman Co, inc. for their Esky 135-quart blow molded HDPE cooler. We’re setting our sights on 1st for blow molding awards 2015! Be sure to check back to see how we score. Give us a call today to discuss ways we can create blow molded packing products or blow molded industrial product solutions.